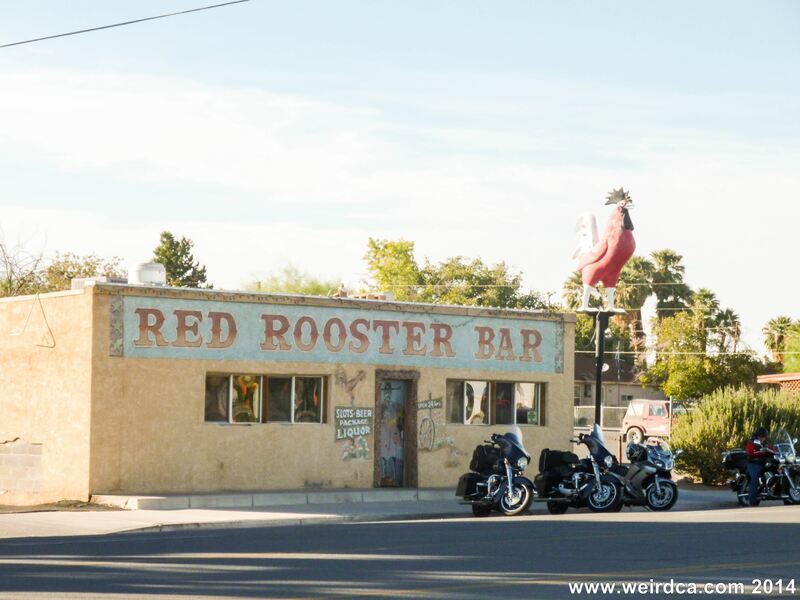 The Red Rooster Bar in Overton, Nevada literally has a giant red rooster! 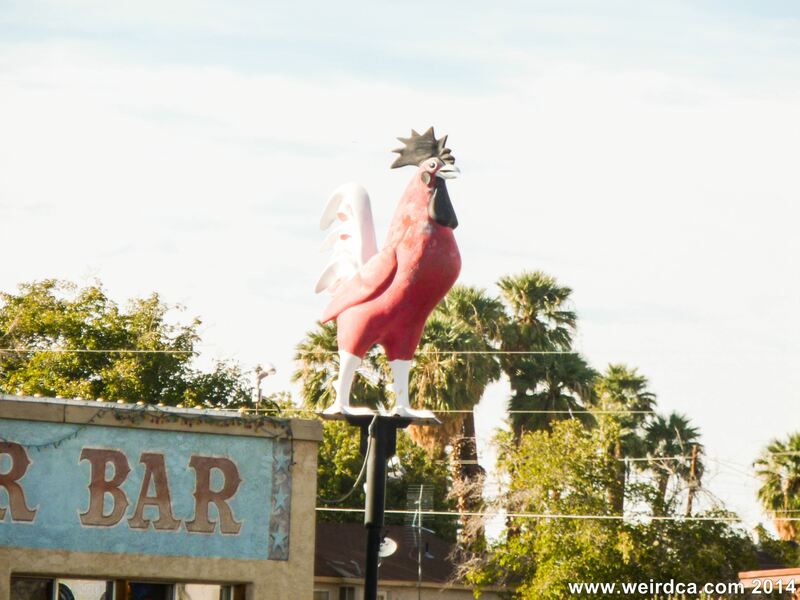 The Red Rooster Bar in Overton, Nevada literally plays host to a giant red rooster outside its establishment. The rooster was originally made decades ago by the non defunct company, International Fiberglass, formerly of Venice, California. International Fiberglass is perhaps best known as the company that made the Muffler Men that stand guard on our highways, but they also built other fiberglass statues such as the well known Sinclair Dinosaurs and the less known, but oh so awesome, giant rooster like this one in Overton! 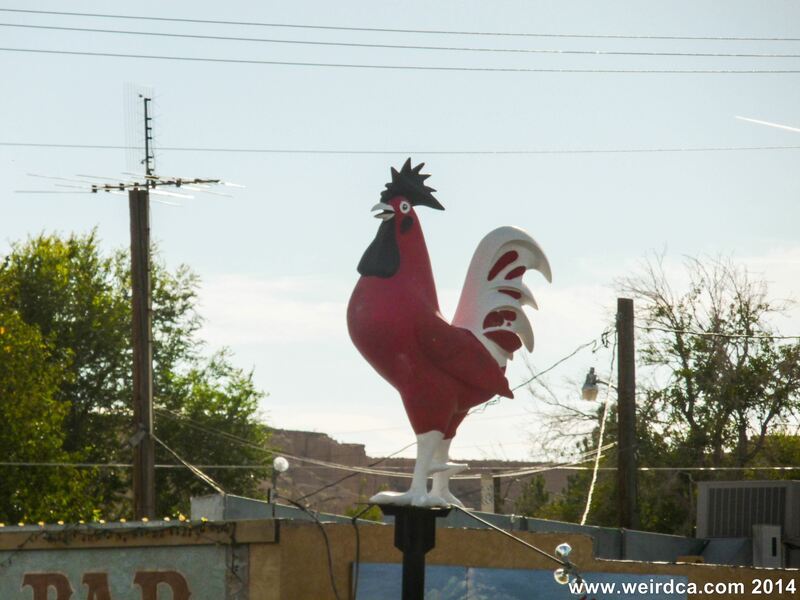 At 8 feet tall, 3 feet wide, 5 1/2 feet long and weighing in at 100 pounds of fiberglass, these colorful fowl often could be found standing on top of or outside of chicken stores throughout the country. International Fiberglass specifically targeted chicken restaurants for the big birds, and advertised them as "Something to Crow About . 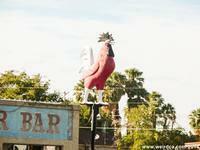 . . this Gigantic Rooster. Whether mounted high on the rooftop, at ground level, or wherever, this giant sales booster is an effective display that can be seen for blocks around." 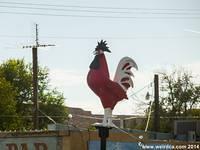 This appears to be the only giant rooster from International Fiberglass that I know of in the state of Nevada. California, however, easily has 30 of these birds lurking in its state, including a full on infestation in the Los Angeles area! See the California Giant Chicken page for more info.